He lived in Station Road, which in those times also housed Wallsend Boys Club. Born the son of a Wallsend milkman and hairdresser, he was a bright kid with a natural love of sport. Gordon Sumner used to board the 8.42am train to Central Station and catch a bus up the West Road to St Cuthbert’s Grammar School, where he excelled at athletics and rugby. An outstanding sprinter over 100 and 220 yards and a fair long jumper, Sumner played rugby for the school using his pace on the wing. He went on to become the Northumberland and Durham sprint champion and run in the national championships which stands a lad apart. However, to live on the banks of the Tyne inevitably meant football and Gordon would pop up the road to the boys club to play on the five-a-side pitches. He was destined for greatness, for adulation, fame and fortune, but not in sport like other boys club protégés such as Alan Shearer, Peter Beardsley, Steve Bruce, and Michael Carrick. Nicknamed Noddy at school, Sumner became Sting and fronted The Police. Hits flowed, No 1s all both with The Police and later as a solo artist. Fast forward to present times and the multi-millionaire pop superstar apparently hasn’t forgotten about wiling away pleasant hours at the boys club. So much so that it was announced today Wallsend Boys Club have benefited to the tune of $10,000 donated by Sting through the annual Broadway Cares fundraiser in New York. The windfall comes as a direct result of Sting writing and performing his musical The Last Ship on Broadway, famously telling the story of life in the Wallsend shipyards which dominated the town when Sting was Noddy. The Last Ship was principally based on the Swan Hunter shipyard and significantly, what became the boys club began life as a facility for the apprentices of that company. 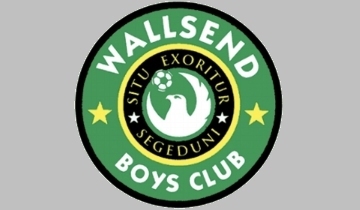 Wallsend BC have launched a fundraising appeal to build a new youth club facility on their spanking new ground at Bigges Main. Such an ambitious programme will cost a whopping £1m, but it’s got off to a flying start with Sting’s donation. "Our old secretary Dave Beardall remembers Sting playing on the five-a-side pitches," said WBC chairman Steve Dale. "He wasn’t in any of our teams, but he used the facilities with his mates. "Since 1965, the club’s many varied activities were provided from premises on Station Road, but strong winds blew down one of the walls in 2012 and the building had to be condemned for safety reasons. Since then, the youth activities have been severely curtailed and the club wants to re-instate a new youth club facility at the same site where their representative teams play their football matches. "We already have £250,000 in reserves from selling the unexpired lease at Station Road back to North Tyneside Council. The appeal to replace the Station Road premises, 50 years after they opened, needs to raise a further £750,000. "However, I couldn’t have imagined a better way to launch our appeal than to have one of Wallsend’s most famous sons backing our efforts." Gordon Sumner, Noddy, Sting: we all salute you, especially Wallsend!